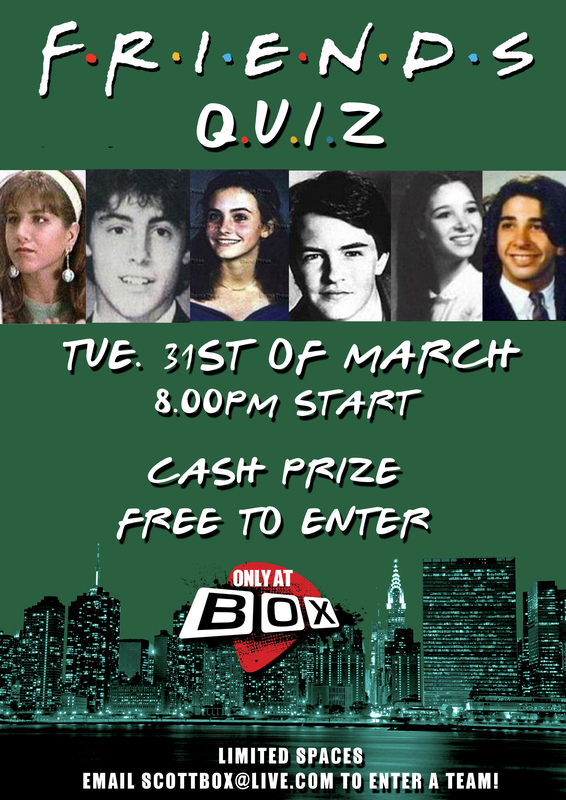 Pub Quiz based around the TV show friends is taking place in BOX on the 31st of March! Its FREE to enter and there is a cash prize for the winners! Want to take part? Email SCOTTBOX@LIVE.COM to reserve a place.